Composer Henry Jackman talks about his move from classical to electronica to working with Hans Zimmer. 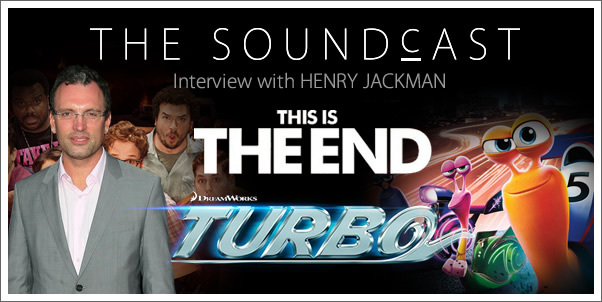 He also talks about his two most recent scores for THIS IS THE END and Dreamworks Animation's TURBO. Lastly, he gives us a clue into his two, big, upcoming scores for CAPTAIN PHILLIPS and CAPTAIN AMERICA: WINTER SOLDIER. 04:42 - How did Hans Zimmer and John Powell impact you? 14:07 - This Is The End: Play it straight or comedic?